About 30 billion invoices are printed and most probably sent in Europe every year. Imagine how much does it cost and how big ecological footprint it leaves. 1 billion of these invoices are issued exactly in Belgium. However, the use of billing software is still weak. By different sources of information only 1-4% of all invoices are sent electronically in Belgium. 40% of all invoices in Belgium relates to business-to-consumer (B2C) and 60% - to business-to-business (B2B). 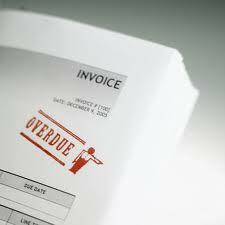 The question forces itself on once: why the amount of electronic invoices is so little? Billing software obviously simplifies the process of invoicing, saves time and money. The answer to the question is found in Belgian legislation. First electronic invoices were introduced in 2004. The legislation concerning invoices and billing software was so strict, that it was easier to continue with paper invoices. Only after 6 years legislation was changed and became more friendly to companies and e-invoicing. Government should push Belgian companies to use billing software. They have the goal to make half of all issued invoices in Belgium be electronic by 2015. It is calculated, that companies could save 3.5 billion euro by choosing electronic invoices. As the business owner I would choose billing software for sure. It makes the invoicing process so fast and efficient. Furthermore, now company could choose how to exchange and archive invoices by itself. The same is about billing software. But there is one obligatory thing left for invoices. Invoice should include some mandatory fields. However, I think that it doesn’t make the process of e-invoicing complicated.